The City was commissioned by the City of Cape Town and the Cape Town Design Network to conceptualise and initiate an inclusive design festival for Cape Town. 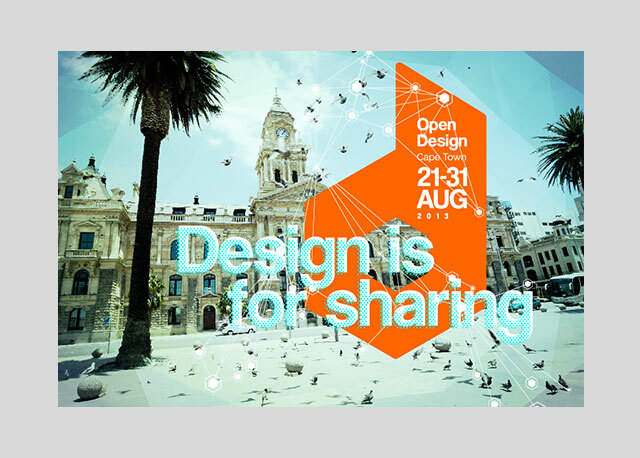 We crafted the concept, theme, identity and programme for the first Open Design festival in 2013, as well as implementing media and communications. The programme of the festival included key events at the City Hall and across Cape Town. This resulted in 12 anchor events with 81 external events taking place over 28 venues. More than 5800 visitors to the City Hall were recorded, and an additional 1500 visitors to other small events around the city. For the media tour we gave local and international media professionals a tour of central Cape Town highlighting the theme “Design is for sharing”. Renowned artists, architects and designers who have worked extensively within the city were invited by The City to speak about specific landmarks.